The Africa London Nagasaki (ALN) scholarship fund has been created to support African, EU, NON-EU/EEA Students at an early stage of their careers. Application Deadline: The application deadline is 3rd March, 2017. Type: Undergraduate, Bachelors, Masters, PhD, Associate Degree and Other Degrees programs. Brief Description: Applications are invited for Africa London Nagasaki Scholarships available for African scientists to undertake degree related to the control of infectious diseases in Africa. Priority will be given to candidates at an early stage of their scientific career. Applicants must be fluent in English. If the applicant’s first language is not English or if the studies at university have not been conducted wholly in the medium of English candidates must take and pass one of the approved internet-based tests (IELTS, TOEFL or a Pearson Test of English). The scholarship will also allow African researchers to undertake an MSc in a subject relevant to the control of infectious disease in the developing world at either the Institute of Tropical Medicine, Nagasaki University, Japan (NEKKEN) or at the London School of Hygiene & Tropical Medicine, London, UK (LSHTM). Study Subject: Scholarships are awarded in a subject relevant to the control of infectious disease in the developing world. Scholarship Award: Successful applicants will receive a maximum of US$50,000 each to cover tuition fees, travel and living expenses. The fund will support up to four scholarships per year. Scholarship can be taken in Japan or UK (Institute of Tropical Medicine, Nagasaki University, Japan (NEKKEN) or at the London School of Hygiene & Tropical Medicine, London, UK (LSHTM)). Candidates applying for an Africa London Nagasaki (ALN) MSc scholarship must meet the following criteria. be fluent in English. If the applicant’s first language is not English or if the studies at university have not been conducted wholly in the medium of English candidates must take and pass one of the approved internet-based tests (IELTS, TOEFL or a Pearson Test of English). The standard of English needed to pass the tests is high and is in line with the level of English required by the UK Border Authority in order to issue a student visa. have the support of the head of their institution for undertaking their chosen course. Nationality: African scientists (Algeria, Angola, Benin, Botswana, Burkina Faso, Burundi, Cameroon, Cape Verde, Central African Republic, Chad, Comoros, Côte d’Ivoire, Djibouti, Egypt, Equatorial Guinea, Eritrea, Ethiopia, Gabon, Gambia, Ghana, Guinea, Guinea-Bissau, Kenya, Lesotho, Liberia, Libya, Madagascar, Malawi, Mali, Mauritania, Mauritius, Morocco, Mozambique, Namibia, Niger, Nigeria, Republic of the Congo, Rwanda, Sao Tome and Principe, Senegal, Seychelles, Sierra Leone, Somalia, South Africa, Sudan, Swaziland, Tanzania, Togo, Tunisia, Uganda, Western Sahara, Zambia and Zimbabwe) can apply for this Africa London Nagasaki scholarship. Entrance Requirements: Applicants must have a first or upper second class BSc degree or equivalent from an established university in a relevant area of science (a medical degree is not essential). All Students/applicants without IELTS or TOEFL, please CLICK HERE for details on what you should do. English language Requirements: Applicants must be fluent in English. If the applicant’s first language is not English or if the studies at university have not been conducted wholly in the medium of English candidates must take and pass one of the approved internet-based tests (IELTS, TOEFL or a Pearson Test of English). The standard of English needed to pass the tests is high and is in line with the level of English required by the UK Border Authority in order to issue a student visa. 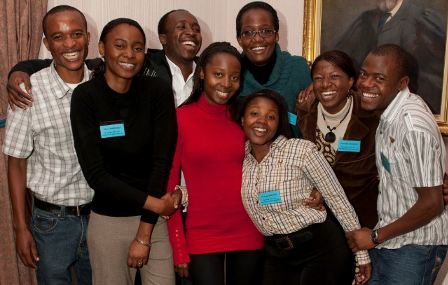 Now that all the information about Fully Funded Africa London Nagasaki Scholarships in UK and Japan has been delivered nicely; talented students who are eager to pursue their Free Tuition/Scholarships/Study In UK and Japan for Undergraduate, Bachelors, Masters, PhD, Associate Degree and Other Degrees, can apply now. is the application only for degree holders, what about undergraduates freshers. Undergraduate, Post-Graduate, Masters Degree, PhD and non Degree courses can apply. i have diploma in Disease Control and Surveillance,I wish to have my First degree in your institution. what are the available programmes and how do i go about it? Go ahead to apply nana yaw asare. Please go through the information in this post, you will see guidelines to apply. Edem victoria angel, Go ahead to apply nana yaw asare. Please go through the information in this post, you will see guidelines to apply. Hello Juan 4 Juan, Go ahead to apply nana yaw asare. Please go through the information in this post, you will see guidelines to apply. Yes dear. Please go through the information in this post, you will see guidelines to apply. Well my name is Josephus S. Queeglay, a Liberian. I obtained a BSc in Agriculture. I will he delighted to continue to MSc level through your program. All document is in tight as may be needed.Hope to hear from you guys soon. Thanks! Please go through the information in this post, you will see guidelines to apply. I have diploma in pharmaceutical sciences, can I apply for this? victor rutta, Please go through the information in this post, you will see guidelines to apply. Hi...Can I get a scholarship for foundation studies in Science and Engineering in the United Kingdom? Please go through the information in this post, Science and Engineering Scholarships in UK , you will see guidelines to apply. lang clarrise, Please go through the information in this post, you will see guidelines to apply. Scholarship is offered in all courses. AKIN, Please go through the information in this post, you will see guidelines to apply.